Half of employees in the East Midlands believe the portrayed public image of the company they work for matches the actual experience of working there. This compares to 49% on a national level, according to new research by YouGov on behalf of Nottingham-based HR and payroll solutions provider MHR. The findings from the survey of 1,174 UK employees are revealed in a new research white paper by MHR entitled Company Culture: Don’t Just Throw Money at The Issue which explores the real experience of UK employees and their true thoughts about their employers. The white paper highlights that organisations must do more to engage with their people and meet their personal expectations if they want a positive work culture. The research shows that employees in the East Midlands are generally happy with the culture at their workplace, with 70% of people (compared to 70% nationally) agreeing their company’s ethos is well communicated to staff, and 62% (61% nationally) saying they would feel comfortable speaking to their manager if they felt the company wasn’t delivering on its aims. However, the comments from respondents tell the real story, with poor cultures leaving staff angry, disengaged and un-motivated in their roles. When asked how well their company’s values are communicated, several respondents said that values are poorly communicated, always changing, confusing, and meaningless. Respondents also described a lack of trust in their employers and managers not living by the values themselves. In contrast, the study has shown how positive cultures are inspiring employees, with over two thirds (69%) (63% nationally) saying they were given the flexibility and support to do their job, and many citing the freedom to work from home, flexible working, feeling trusted and having understanding managers as reasons for their satisfaction. Asimina Stamatiou, employee engagement expert at MHR and author of the white paper, says: “Creating a positive working culture is a valuable asset for any business because it leads to a more engaged, productive and loyal workforce who are less likely to leave the business. 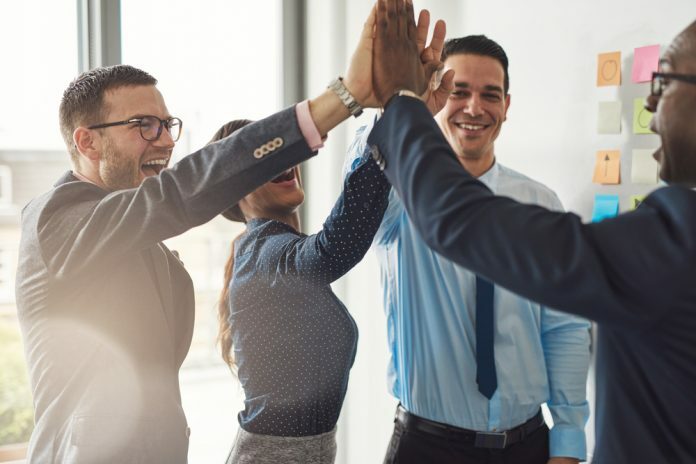 “Employees’ views on company culture, however, show that somewhere between the boardroom and the frontline the message has got lost. “When asked about their company’s culture, many employees commented on communication and training, which indicates that organisations are aware of its importance, but very few focused on the atmosphere, direction and experience of working at the business, key elements that really define a culture. This shows that company culture is still widely misunderstood in workplaces across the country.